I know it is generally in vogue to display moving water as a soft aqueous blur and I do enjoy the appearance of this type of picture but there are occasions where the pattern of ripples on the water gently illuminated by the soft and colourful light of a breaking dawn just simply look better and I felt that this was the case here. I used a shutter speed of 1/80 second to keep the rippled water intact but to do so I was forced to increase the camera's sensitivity to ISO 800. 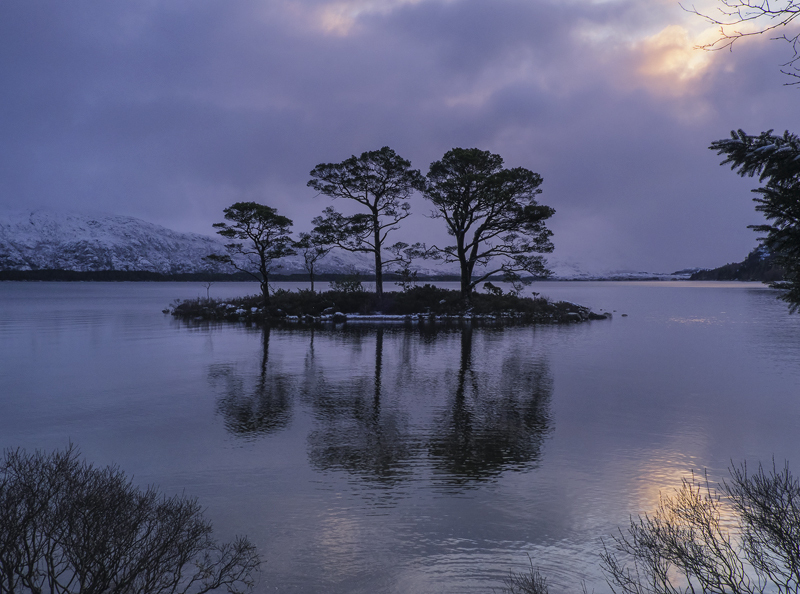 I love the silhouetted scots pine trio on the island and I made sure that I had the tripod high enough to ensure the water horizon made it clear that this was defnitely a small island.